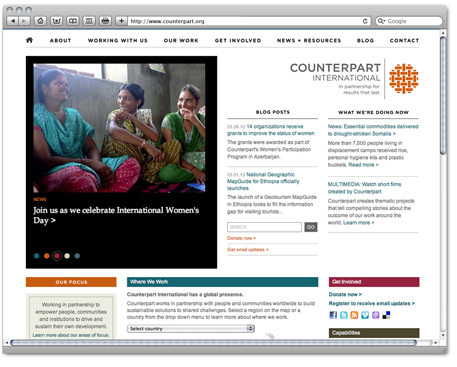 Counterpart International is a global development NGO that empowers people to implement innovative and enduring solutions to social, economic, and environmental challenges. In partnership with Kite, we led Counterpart through a comprehensive and strategic rebranding process that resulted in an updated organizational look and messaging. We also worked with them to update and align their website with their brand. Our role: Comprehensive rebranding, messaging, website development.